Separated from Lerici by a wooded promontory on which stands Villa Marigola, lies the medieval town of San Terenzo. The town was originally named Portiolo, and was only given its current name after the arrival of the Saint of Scotland, who later became a bishop of Luni. It is first mentioned in 1224, for the building of the church of Trebiano. It once gave premises to a hospital and still preserves the remains of a quadrilateral 15th century castle, which was built over the remains of another castle dating back to the 10th century. Certain toponyms found in this area date back to the Crusades, such as the tomb of the crusades and Orlando�s rock, which is said to have been broken in two by the furious knight. 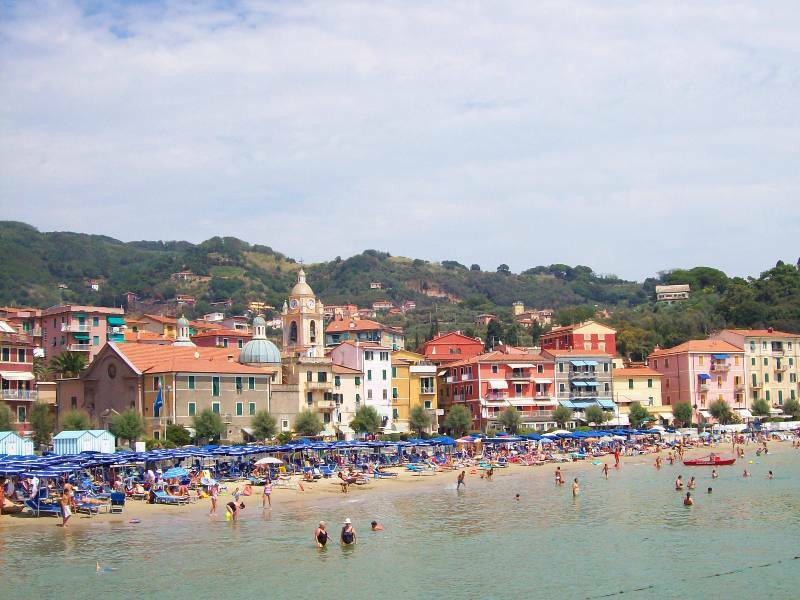 From the beach, it is possible to make out both the castle of San Terenzo and that of Lerici, as well as the towns church, which is dedicated to the Virgin Mary and which dates back to the 17th century. The church houses works by Domenico Gar and Domenico Fiasella. In the 19th century, Villa Magni played host to famous poets Shelley and Byron.